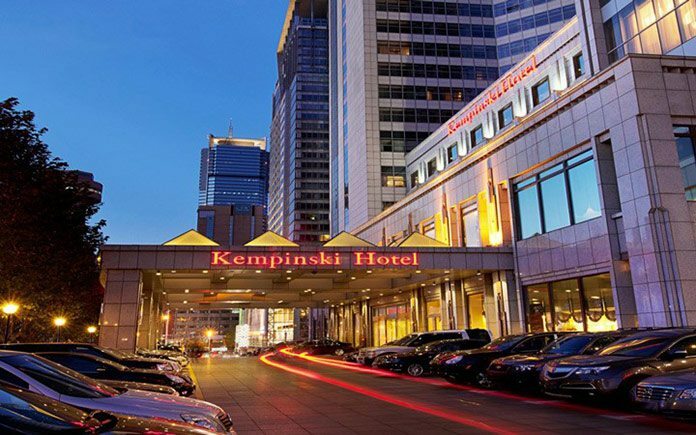 Created in 1897, Kempinski Hotels is Europe’s oldest luxury hotel group. Kempinski’s rich heritage of impeccable personal service and superb hospitality is complemented by the exclusivity and individuality of its properties. 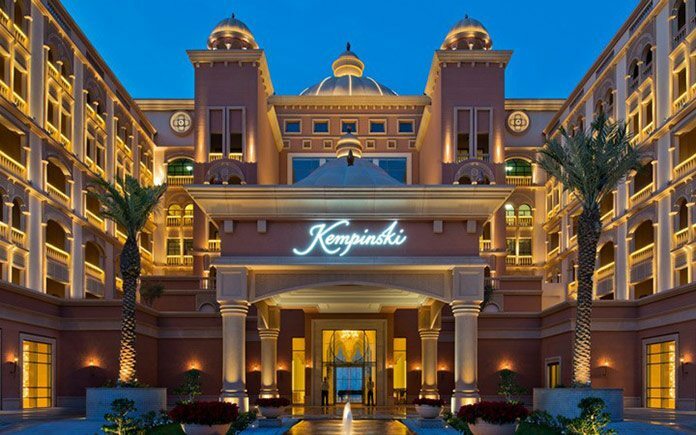 Kempinski now comprises a portfolio of 75 five-star hotels in 31 countries and continues to add new properties in Europe, the Middle East, Africa and Asia. Each one reflects the strength and success of the Kempinski brand without losing sight of its heritage. The portfolio comprises historic landmark properties, award-winning urban lifestyle hotels, outstanding resorts, and prestigious residences. Each one is imbued with the quality guests have come to expect from Kempinski while embracing the cultural traditions of its location. Nine new hotels in China, Africa, Egypt, Saudi Arabia and Germany will be added to Kempinski’s portfolio this year. Europe’s oldest luxury hotel group currently operates 75 hotels in 31 countries, with a further 35 projects in the pipeline. Marsa Malaz Kempinski The Pearl sets a new benchmark in luxury; situated 330 meters off the east coast of Qatar on a 400 hectare artificial island, The Pearl, the hotel is in one of Doha’s most sought-after locations. Offering more than 281 opulent rooms and suites, the luxury resort may indeed be called a palace. A vast 1,100 square metre ballroom is the ideal setting for VIP delegations and wedding celebrations. The luxury resort also offers an exclusive beach in a private bay as well as various outdoor pools, a range of water sports facilities, a tennis court and yacht moorings. Last but not least, a 3,000 square metre Spa by Clarins completes the offering. One of the most impressive hotels in the area, Marsa Malaz Kempinski offers six restaurants, two cafés, al fresco beach dining, an elegant lounge and a unique open-air roof terrace. 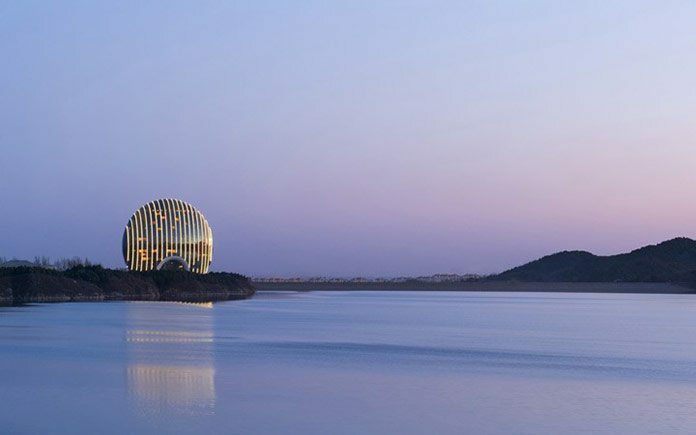 One of the region’s most spectacular hotels welcomed its first guests in February; the Sunrise Kempinski Hotel opened its doors about 60 kilometres north of central Beijing, directly on Yanqi Lake with views of the Yanshan mountain range, and close to the Mutianyu section of the Great Wall of China. Sunrise Kempinski Hotel is designed to resemble a rising sun and provides 306 rooms and suites over 21 floors with panoramas of the breathtaking surrounding landscape. 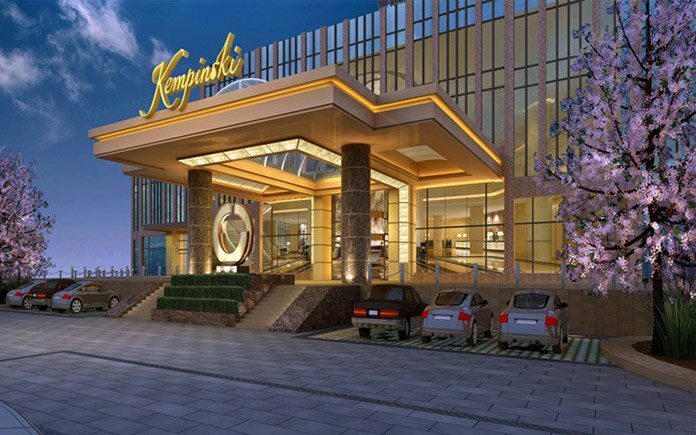 With the opening of this hotel, Kempinski’s Yanqi Island project with the Yanqi Hotel managed by Kempinski and twelve Boutique Hotels managed by Kempinski is complete. Fourteen hotels on the lakeshore and on Yanqi Island cater for leisure travellers and will delight meeting, conference and incentives organisers. 14,069 square metres of event space, a conference centre, 14 restaurants and bars, 14 spas, a private marina and a nine-storey pagoda are just part of the facilities available. Recharge and relax away from the hustle and bustle of daily life, in one of the Bavarian Alps’ most splendid locations. 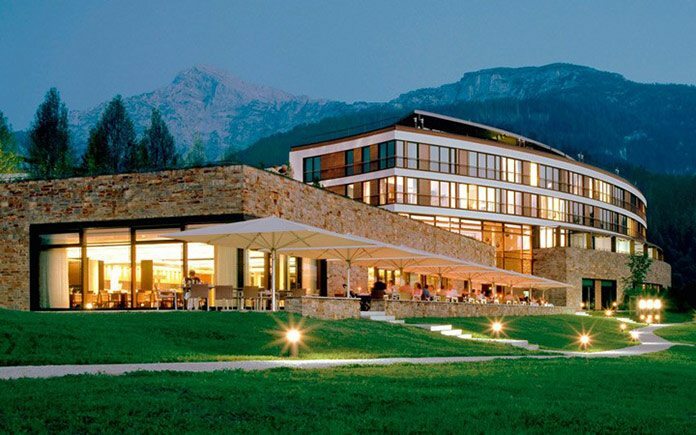 On May 1, 2015, Kempinski Hotel Berchtesgaden opened as an elegant yet cozy hideaway on the Eckerbichl. Welcome to the warmth of Kempinski’s service and refined cuisine in a stunning setting, with views of the Watzmann Massif and the Salzburg region. The Alpine resort combines modern architecture and local Alpine charm. The horseshoe-shape of the building and floor-to-ceiling glass facades draw attention to the stunning scenery wherever guests are in the hotel. And within the 138 rooms and suites, it feels as if nature has been brought inside. Fireplaces in the suites create a snug atmosphere. Throughout the resort, typical Alpine materials such as leather, loden and felt have been used to create a comfortable and cozy ambience. Gourmets can enjoy local specialties from hill-farm cheese to gentian schnapps in three restaurants and two bars. Alpine herbs and salt from the area are also used in the 1,400 square-metre Kempinski The Spa. Six conference rooms and an open-air event area have a capacity of up to 4,000 guests. Located directly on the northern banks of the Songhua River, Kempinski Hotel Harbin is set to become a new landmark of ‘‘Oriental Paris’’, as the capital of the Heilongjiang Province in northeast China is known. The hotel has 350 luxurious rooms and suites, most of which offer views of the river. Eight restaurants and bars cater for all tastes. Two ballrooms of 760 and 840 square metres respectively and five multifunction rooms are ideal for hosting a variety of events. The offer is completed by a Kempinski The Spa, which has seven treatment rooms, a fitness studio equipped with state-of-the-art machines and a 25-metre swimming pool. The Siberian Tiger Park, the largest park for Siberian tigers in the wild, the Sun Island Scenic resort, a 38,000 square metre park and lake area, and Polarworld are among the tourist attractions near the hotel; and Harbin Taiping International Airport is also just a 25 minutes’ drive away. The city is famous around the world for its Ice Festival, which features incredible ice sculptures and has taken place every year since 1985. With this five-star hotel, offering more than 269 rooms and suites, Kempinski brings a hitherto unknown standard of luxury to Accra. Kempinski Hotel Gold Coast City Accra is the luxury hotel group’s first hotel in Ghana. Ideally located in the city centre, the new Kempinski hotel not only offers the most spacious rooms in Accra, but also two restaurants, a lobby with an open-air lounge, a cocktail bar and a pool lounge. 1,700 square metres of conference facilities, including the city’s largest ballroom, is available for conferences, meetings and other events. The hotel complex also includes boutiques spread over 7,000 square metres. Kempinski Hotel Gold Coast City Accra will also provide extensive spa and fitness facilities. The 3,000 square metre Resense Spa will be the largest and most luxurious spa in West Africa. Ten treatment rooms, relaxation areas, a hammam and a yoga studio will delight the hearts of guests in search of relaxation. Close to Cairo International Airport, the majestic Royal Maxim Palace Kempinski’s 245 rooms and suites will grace the New Cairo area with the highest standards of luxury and service. The new palace with its impressive blue cupolas offers seven outstanding restaurants, which will satisfy the most discerning of guests. Spacious meeting rooms will be available for events of all kinds. The Excelsior Ballroom alone has a capacity of 2,300 guests. Named after a famous diamond, the ballroom is correspondingly magnificent, and at 3,000 square metres, it is also Egypt’s largest ballroom. Another little gem in the Royal Maxim Palace Kempinski is the private theatre which can accommodate up to 60 people. Spread over 1,700 square metres, the Resense Spa, the first in Egypt and one of the most exclusive spas in the city, will be a true haven of relaxation for guests. 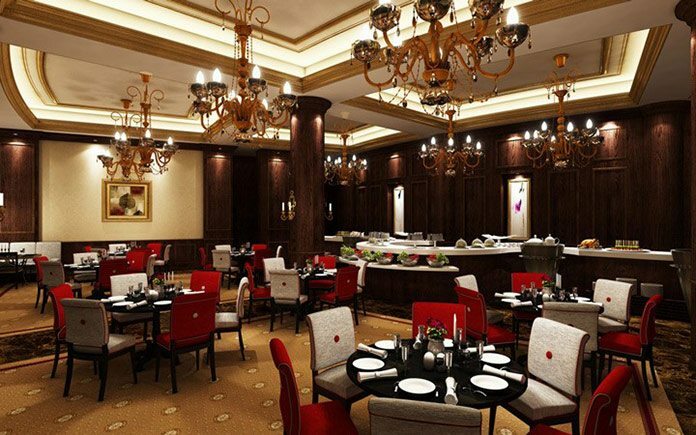 Royal Maxim Palace Kempinski will be the group’s second in the Egyptian capital after the Kempinski Nile Hotel in Garden City. Situated on the beautiful Lebanese coastline right next to Beirut, Kempinski Summerland Hotel & Resort is currently being built over an area of 65,000 square metres, and will become the place to be for both guests and locals. Rafic Hariri International Airport is close by. The hotel will have more than 153 rooms and suites, two restaurants serving international and Lebanese specialties and various bars. Ample leisure activities and relaxation opportunities are available with 5,000 square metres private sandy beach, a marina with 47 berths, a luxurious spa spread over 1,500 square metres, several pools, water ski, sailing and diving. 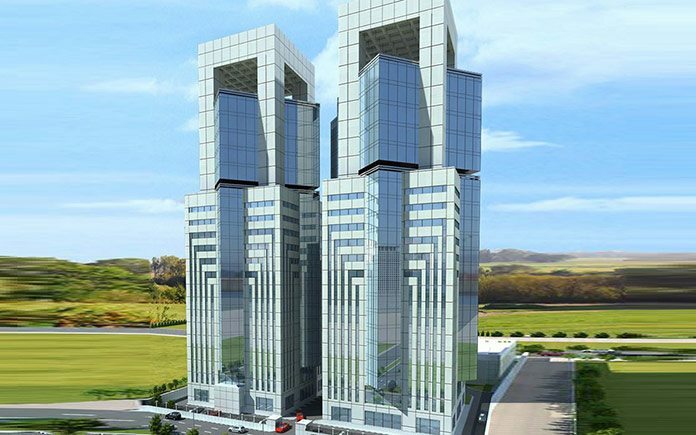 Phoenix Hotel Dalian is located in a new sports complex on the outskirts of Dalian city. 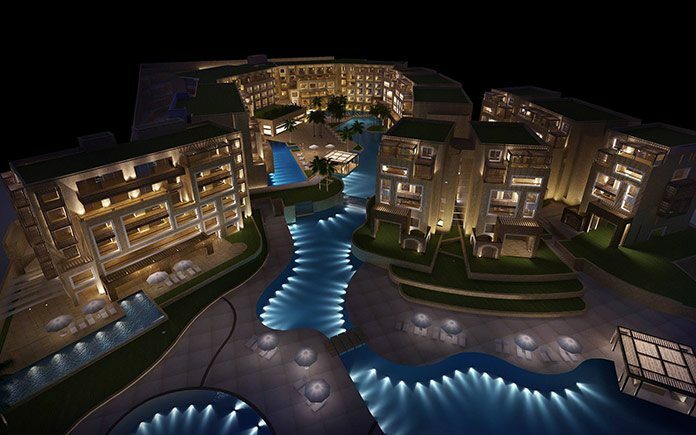 A total of 427 luxurious rooms and suites as well as four restaurants and bars will be available for guests. The sports complex surrounding the hotel includes a stadium with a seating capacity of up to 40,000 people and an arena with 18,000 seats for concerts and indoor sports events. 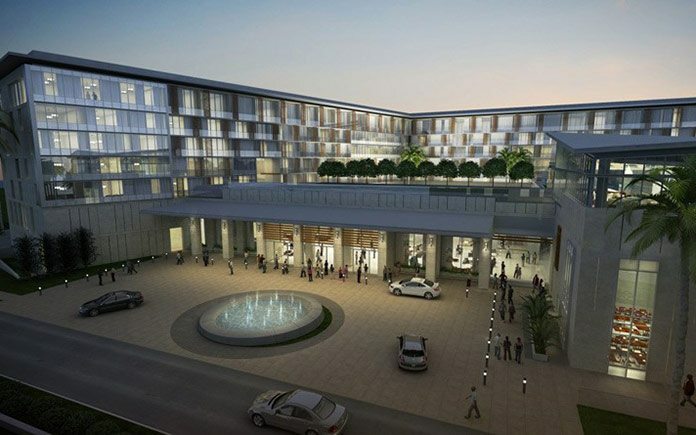 Kempinski Al Othman Hotel in Al Khobar will have 218 rooms and suites. Guests will be able to choose from 141 rooms, 57 suites including two Presidential Suites and one Royal Suite spread over 250 square metres as well as 20 apartments with hotel service. Nine restaurants, cafés and bistros will serve culinary delights. The hotel will also have a fully-equipped fitness studio, a swimming pool and a luxurious Resense Spa. Located in the business centre of the city, just 20 minutes by car from Bahrain and 45 minutes from King Fahd International Airport, the hotel is the ideal location for business travellers. The five-star hotel provides a variety of conference rooms for business meetings and event facilities, including two banquet halls each of 1,080 square metres and a well-equipped, state-of-the-art business centre that will satisfy the most demanding requirements.